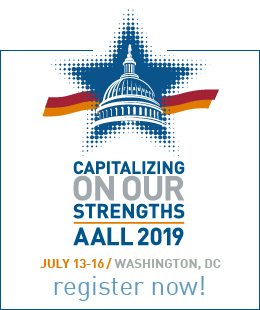 AALL has a commitment to its chapters to keep each informed of national issues and the activities of the Association. To that end, the Association will annually sponsor the attendance of an AALL Executive Board member at a chapter function when such a visit is requested by the chapter. These chapter visits provide an opportunity for Executive Board members to share news about national initiatives and to meet with members of chapters and to hear their suggestions and concerns about issues confronting the profession and the Association. Each chapter will have the opportunity for a visit from the President, Vice-President/ President-Elect, or Immediate Past President, every third year. In the intervening years, the chapter will be eligible for visits from other board members. The chapter may request a specific person from each group, however the visitor will be assigned based upon individual schedules. In May of each year, the chapters will be informed of the chapter visit rotation schedule and the chapter’s place on it for the next program year (July to July). The Chapter President will complete and return the Chapter Visit Request Form to the Executive Assistant to the Executive Director. The request should be submitted at least eight weeks prior to the date of the meeting. The Executive Assistant to the Executive Director, in conjuction with the President, will manage the scheduling process. 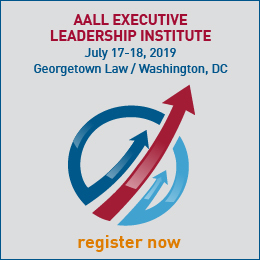 AALL will fully fund chapter visits for Executive Board members to AALL chapters. This funding will cover all reasonable expenses related to the visit. If possible, it is requested that the host Chapter waive the meeting registration fee, if any. After receiving the name of the AALL visitor, the chapter president should contact the board visitor, informing her or him of the location, date/time of the chapter function and discussing other arrangements. Along with the chapter program, the chapter should send any interesting facts concerning the chapter to the AALL representative. This will enable the representative to converse more easily with members and will better assist her/him during the chapter visit. If the chapter has a listserv, request to be added. This will also assist the AALL representative in learning more about the chapter’s activities. The AALL representative is prepared to speak to the chapter about AALL activities. If you are conducting an educational program, and would like the representative to participate, please advice her/him how long you would like her/him to talk and if there is a particular area of the association’s business you would like emphasized. The AALL representative hopes to attend a chapter board meeting as an observer. It is also helpful if you can arrange lunch or some other gathering between the AALL visitor and members of your chapter. This type of social gathering will allow everyone to get to know each other a little better and should provide useful insights into the different organizations. If time is available, arrange for visits to area law libraries and library schools that might be of interest to the visitor. Discuss these possibilities with your visitor before making any specific plans. When the chapter begins to publicize the chapter meeting at which the AALL representative will participate, copies of the announcement(s) should be sent to the board member. It can be beneficial, to both the chapter president and the AALL representative, to assign a member of the chapter to act as an “official” host. Possible duties include: calling the board member in advance to inquire into any specific needs or desires, meeting them at the airport, and escorting them to the chapter event. Often the chapter president is actively involved in the program and may not be able to act as the host. After the chapter visit has concluded, remember to send a thank-you letter to the AALL representative.